A few friends of mine and I are looking to put together an Honorverse Mod. We have some more or less concrete ideas as far as setting up beam arcs and torpedo tubes, but so far we've drawn blank on ship models. Is there anybody out there who is aware of 3D ship models for the Honorverse and would be willing to point us in the right direction? I am not sure this is true: I heard that there is a guy who has the rights for a Honorverse video game. He threatens to sue anyone who does do it. Right now, I think he is just sitting on it to see what happens. You know, just waiting to see when that IP blows up and sells for millions. A Honorverse mod was made and he told them to stop. That's interesting. If anyone else knows more I'd be interested to hear it. LOL! Have you seen their ships? They look like torpedoes. I think janx may have confused the Honorverse (referring to David Weber's books centering around the main protagonist Honor Harrington) with something else. Artemis SBS is a completely independent IP and setting from any other existing work. It certainly draws on tropes from a variety of sci fi settings, but in adn of itself it is not connected to any existing work. There are a lot of Honorverse fans here though. Well, I'd be happy to hear from some of them. Maybe they can help us make this happen. At this point, the Honorverse flavor is just cosmetic. 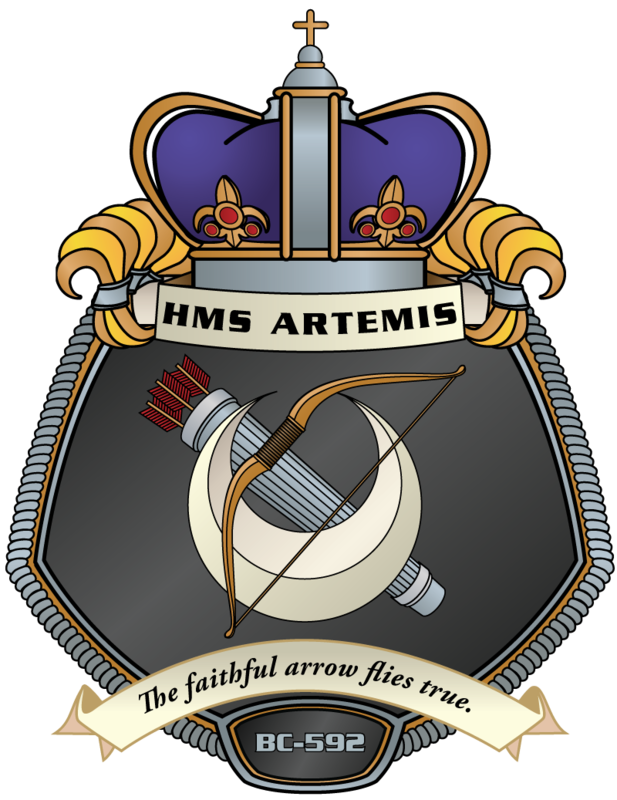 We call it HMS Artemis and use the RMN ship's "crest" and other RMN graphics, plus when we play we often wear RMN uniform and use RMN terminology-- a bit of role-play. Yes, there has been talk of doing a mod. I think that such a mod would be mostly cosmetic, with Honorverse ship models and perhaps broadside-only weapons arcs. 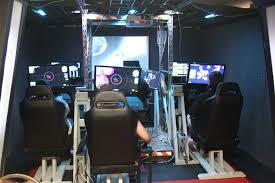 We love playing Artemis, but it would probably take a completely different engine to do a true simulation of Honorverse space combat, with true 3-dimensional space, conservation of velocity (requiring turn-around to decelerate), and engagement ranges at millions of kilometers (waaaay beyond visual range, with missiles often taking several minutes flight time from launch to target). There has been talk about a mod but at this point even we don't have any Honorverse 3-D ship models to use in Artemis. 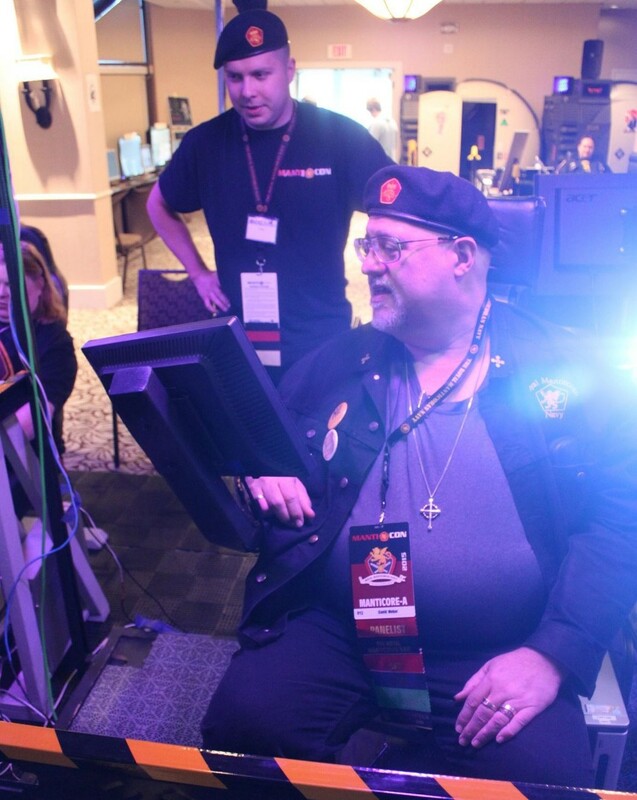 Here's David Weber in the captain's chair at MantiCon a few years ago with an earlier incarnation of one of our bridges. I think CDRE Christopher Thompson, pictured here with David, is a member of this forum. I'll ping him to see if he has any further information to post, as he has been our most heavily involved Artemis builder. 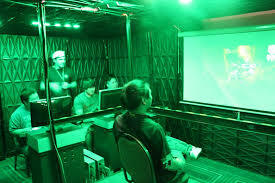 Yes, we will be running immersive bridge set-up(s) at MantiCon again this year, Memorial Day weekend in Minneapolis. 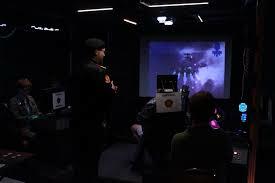 And yes, those are Battletech simulator pods in the background of that last pic, and they'll be back this year, too. As recently mentioned, I am indeed standing behind David. We have a couple new features to this simulator that will be implemented over the next couple of years. If you have any questions, feel free to PM me, or just reply to this thread. I'm actually in touch with the German chapter of the TRMN fan club, and it is with their support that I have begun work on an Honorverse mod. At this stage, all I would need to finish is Honorverse ship models, and I was really hoping that you guys would have some resources that we could use. Is there anything you guys can do to help out? Actually, I can. For the TRMN club, I am the Deputy Third Space Lord, Bureau of Ships. I would be more than happy to scrounge up some models you can use for your modeling, I do have contact with another individual within the club who has been generating 3D ship models of the Honorverse style ships. I would be more than happy to help, especially if you can get those models back to us to use for our setup! The original site has been gone for a while, but I played a HH Bridge Crew game at CanCon (Australia) back around 2000-2001. I have a copy of the code somewhere for the server and clients. Originally built for Star Trek, the missiles could be programmed for actual salvoes (with proximity fuses, speed and other stuff). I ran missileer and typed my fingers raw (text only controls back then with programmable function keys). I emptied the magazines (not easy to do without reprogramming the macros). Scenario was just before the battle for Seaford 9 (when all the scouts were killed). After a free-form session, one (brave?) crew volunteered to run it using Horrible Hemphill's grav-lance... it didn't go well. I was just thinking about this. I'd love to help with this and see a mod that has HH type missles, etc., even if it doesn't have 'realistic' HH space travel.